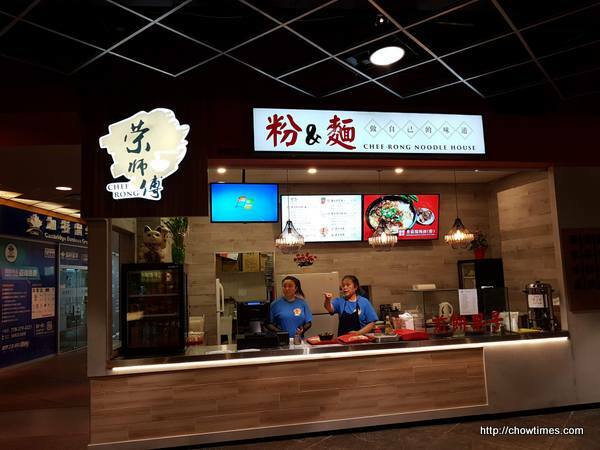 When in Burnaby, our favourite place to eat out is Crystal Mall. The food court has many stalls that we like; e.g. 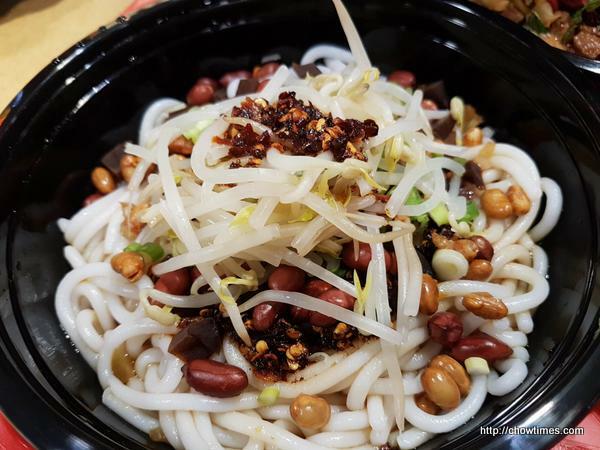 Ipoh Beansprouts, Bubble Waffle Café, Chao Shou Wang, etc. 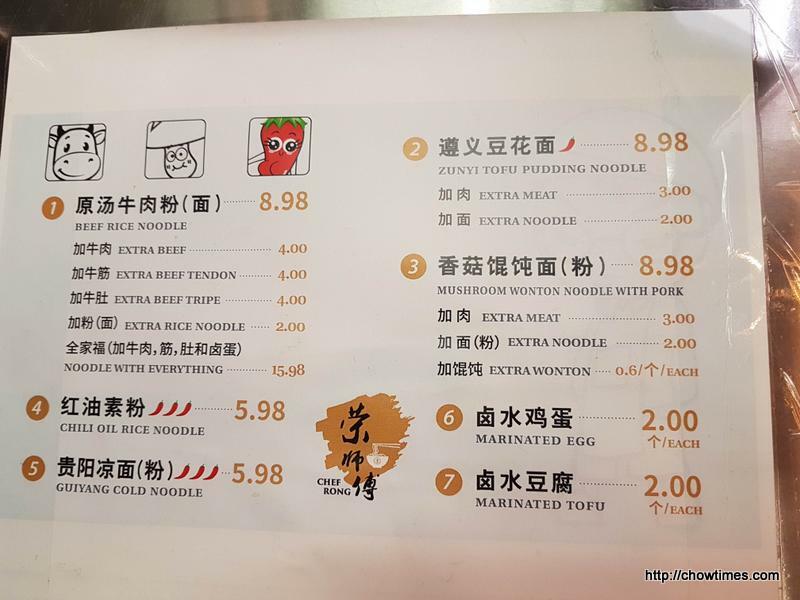 On this trip, we discovered a new stall, Chef Rong Noodle House. The noodle stall shared the space with a lady who sells Chinese style wrap. Ben and I ordered two items to share. 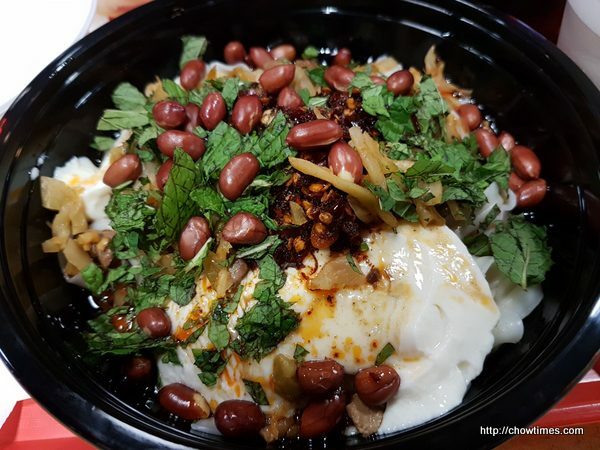 The above is called Zunyi Tofu Pudding Noodle. We find that the addition of the tofu pudding was not necessary. 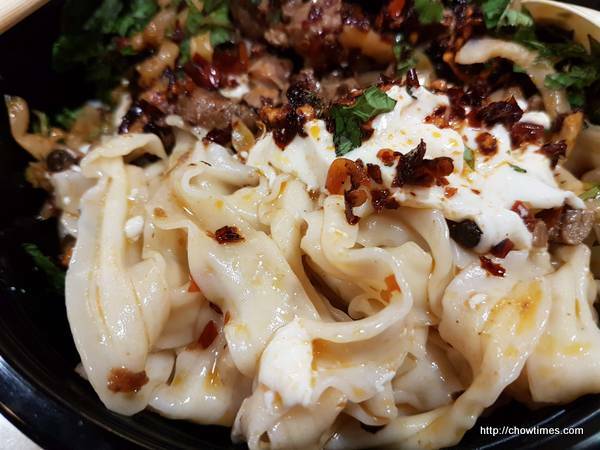 The Zunyi Tofu Pudding Noodle was a dry spicy mixed noodle which we like. 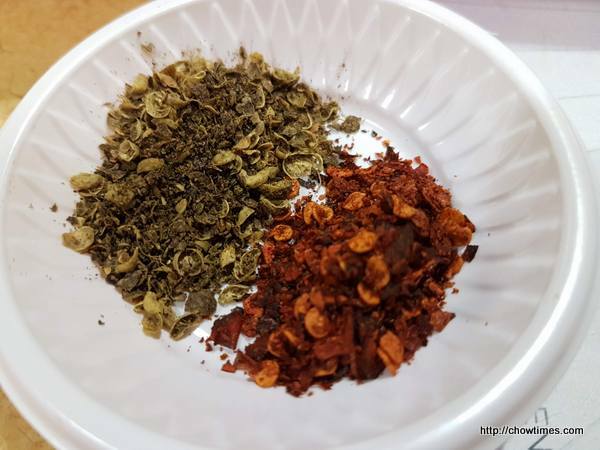 You can add more kicks to the noodle by adding more chili flakes and Szechuan pepper flakes. 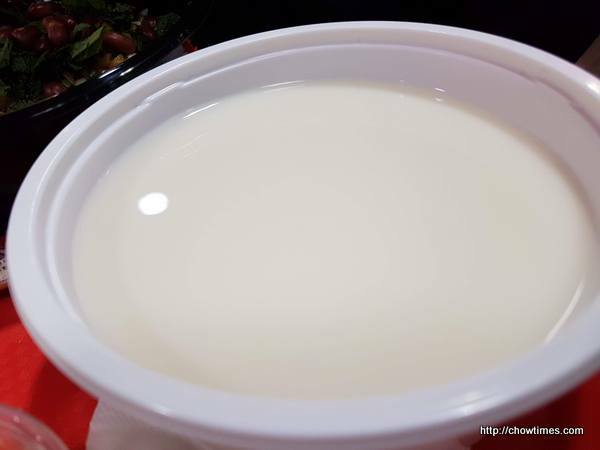 The Zunyi Tofu Pudding Noodle came with a bowl of non-sweetened soya milk. I asked the lady who managed the Chinese style wrap if we are supposed to add the soya milk to the dry noodle and she replied no. 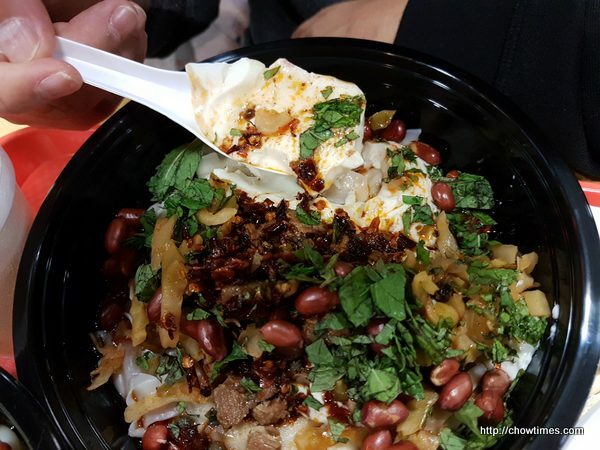 The second item we tried was the Chili Oil Rice Noodle. This is also spicy with a vinegarish sauce and it’s more wet than the first noodle. 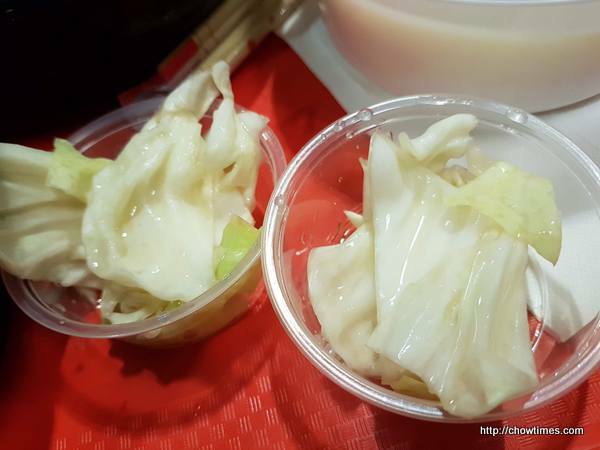 Our noodles also came with a small serving of pickled crunchy cabbage, good for cleansing our palate. Our meal came to CAD15.